Learn to operate Commercial Drivers License required vehicles from 18 wheeler big rigs to RV'S and everything in between. For those who are just learning to drive class D vehicles like cars and pickups, we offer that program as well. Some of these courses are eligible for continuing education unit credit at College Of The Ouachitas located in Malvern, AR. RV drivers training is a fun ed course of 10 hours. Continuing Education Credit is awarded. Our CDL truck driving school, offers training in all classifications of commercial motor vehicles (cmv's): Class A, B, C vehicles with endorsements for Hazmat, Tank, Doubles & Triples, Passenger Transit, Coach and, School Buses. We also provide Driver Education courses at College Of The Ouachitas which are approved by the State Board of Private Career Education. Click on the button below, to get more information about Mid-America Truck Driving School, and some of its employment opportunities and careers. Convienent location at Jones Mill, Arkansas. Only 1/4 mile from scenic lake Catherine. Contract housing available in Malvern or Hot Springs. Length of training ranges from 3 weeks up to 4.5 weeks for CDL commercial motor vehicles. Our CDL Refresher training courses vary in length from 2 - 5 days. Tuition reimbursement programs are available from the private sector. We also accept those who are classified and funded by the following programs: Dislocated Workers, WIA, Arkansas Vocational Rehabilitation, Veterans Rehabilitation and all GI Bill students. Satisfied and successful clients and students are the measure of our success. The Golden Rule, is the template which guides our actions. "Treat others as you want to be treated". One of the most successful forms of advertising is referrals from previous clients and students. We pride ourselves on this response and the resulting goodwill. Approved programs by the AR Department of Higher Education and S B P C E are offered in all classifications of commercial motor vehicle as well as driver education training and defensive driving. 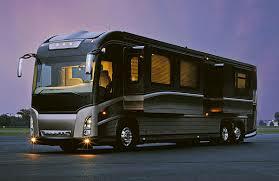 A recreational Vehicle and travel trailer course of training is also taught. The RV course grads can receive continuing education unit credit, through College of the Ouachitas (COTO), for those who wish to do so and are qualified. Professional, experienced, skillful staff and instructors are our most valuable asset. Without them we could not function. Our trainer vehicles come equipped with a variety of drive line configurations for engines and transmissions in non commercial and commercial motor vehicles as well as RV's and camper trailers. Applicants, students and Institutional clients from throughout the state are our most valuable resource. Without them, we wouldn't be here.